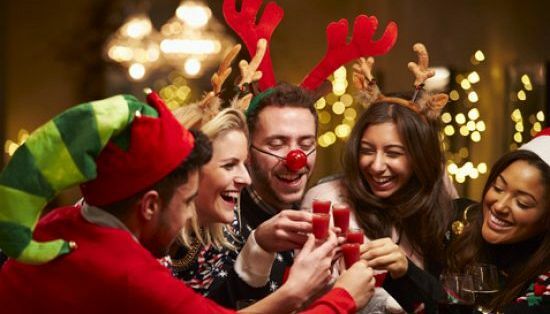 How you look naturally affects how feel about yourself This holiday season you will see lots of friends and family at many festive gatherings. Instead of going into this season feeling self-conscious, make the choice today to improve your appearance with a DIY makeover. There’s no need to wait to win a makeover on TV or hire a stylist to do it for you. Give yourself the holiday makeover you want, need, and deserve by following these simple steps. Changing your hair color and style is one of the easiest ways to begin a makeover. Everyone will quickly notice the difference and it will provide you a boost of confidence. Make an appointment with a local salon and you can either decide in advance what you’d like to do or let the cosmetologist provide flattering recommendations. If you are nervous about trying a new hair color consider getting temporary color instead of permanent so it will easily wash out if you do not care for it. The top three ways to flatter your face are a better haircut, new glasses, and updated makeup techniques. After your new haircut is taken care of next you should consider modern frames that compliment your face if you require eyewear. As for taking your makeup to the next level begin by browsing online for different tutorials. Trial a few looks at home and see if you like it. Many department stores offer free makeovers if you are willing to purchase cosmetics from them. They are a great opportunity to see how they apply the makeup and learn what shades are flattering on your complexion. Often the hardest change to make is to change your personal style. To perform a complete makeover on yourself you need to be willing to experiment with new looks. If you go shopping and end up coming home with the same styles you’ve always worn then there’s a problem. Try different styles on in the dressing room to ensure they are flattering and fit well. It is always a good idea to bring someone with you to provide honest feedback and recommendations or you can ask store employees for an opinion. New shoes can also build confidence and finish your new look from head to toe. Try on some daring heels, bright colors sandals, glitter slip ons, or knee-length boots. The power to change how you look is completely in your able hands. Boost your confidence with a DIY makeover. Three simple steps are all it takes! Begin with a haircut and color to drastically change your appearance. Second, update your makeup application techniques and eyewear to flatter your complexion and face shape. Finally, you get an excuse to go shopping for a few new outfits, or a wardrobe if you are lucky enough, to complete the new look. After it is all done you can walk into any holiday event with pride and confidence!